100 Balls is simple,fun and addicting. It need some strategy to balance all cups and quick reflex to catch the falling balls. Game Description: 1. Appear around the screen up to 8 clockwise-rotaion cups 2. 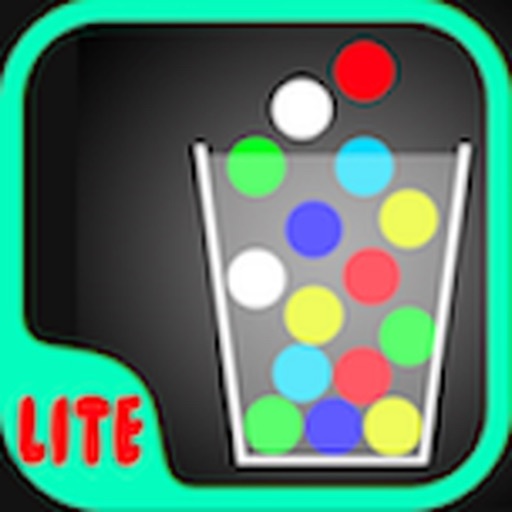 Cup start color is white, th...More100 Balls is simple,fun and addicting. It need some strategy to balance all cups and quick reflex to catch the falling balls. Game Description: 1. Appear around the screen up to 8 clockwise-rotaion cups 2. Cup start color is white, the latter will turn green, blue and red. red the highest score 3. Tap or slide the screen to open the container. 4. Will be lost if the ball fell to the ground. 5. If the cup does not get the ball, will be removed 6. When all the balls are dropped on the floor, or all of the cups are removed, the end of the game Brainless Apps are dedicated to updating our games regularly to make sure they deliver the very best gaming experience. If you have any issues to report or suggestions to make, please email the device you’re using, iOS version, and a detailed description of the problem to: brainless.apps1@gmail.com Love the app? Please take a minute out to write us a good review or if you are unhappy with anything, please leave feedback for us. We cannot have you unhappy. Can we?